The Shona ( /ˈʃoʊnə/ ) are a Bantu ethnic group native to Zimbabwe and neighboring countries. The people are divided into five major clans and adjacent to other groups of very similar culture and languages. This name came into effect in the 19th century due to their skill of disappearing and hiding in caves when attacked. Hence Mzilikazi the great king called them amaShona meaning "those who just disappear." When the white settlers came to Mashonaland, they banned the Shona people from staying near caves and kopjes because of their hiding habits. This explanation is because there is no word called "Shona" in the Shona language vocabulary. There are various interpretations whom to subsume to the Shona proper and whom only to the Shona family. The Shona people are divided into various tribes in the east regions of Zimbabwe. It is important not to mistake the Bukalanga tribe of Matabeleland as these are a distinct clan of the Lozwi-Moyo Empire. Ethnologue notes that the language of the Bukalanga is mutually intelligible with the main dialects of the Eastern Shona as well as other Bantu languages in central and east of Africa, but counts them separately. Ndau  in Mozambique (1,580,000) and Zimbabwe (800,000). Their language is only partly intelligible with the main Shona dialects and comprises some click sounds that do not occur in standard ChiShona. Ndau is a Bantu language spoken by 1,400,000 people in central Mozambique and southeastern Zimbabwe. The major varieties in Mozambique are called Shanga and Danda; that in Zimbabwe is simply called Ndau or Ndaundau. A pejorative is a word or grammatical form expressing a negative connotation or a low opinion of someone or something, showing a lack of respect for someone or something. It is also used to express criticism, hostility, or disregard. A term can be regarded as pejorative in some social or ethnic groups but not in others. Sometimes, a term may begin as a pejorative and eventually be adopted in a non-pejorative sense in some or all contexts. Dialect groups are important in Shona although there are huge similarities among the dialects. Although 'standard' Shona is spoken throughout Zimbabwe, the dialects not only help to identify which town or village a person is from (e.g. a person who is Manyika would be from Eastern Zimbabwe, i.e. towns like Mutare) but also the ethnic group with which the person identifies. Each Shona dialect is specific to a certain ethnic group, i.e. if one speaks the Manyika dialect, they are from the Manyika group/tribe and observe certain customs and norms specific to their group. As such, if one is Zezuru, they speak the Zezuru dialect and observe those customs and beliefs that are specific to them. Also traditional pottery is of a high level. Shona traditional music, in contrast to European tradition but embedded in other African traditions, tends to constant melodies and variable rhythms. The most important instrument besides drums is the mbira. Singing is also important and families would group together and sing traditional songs. Nowadays, between 60% and 80% of the Shona are Christians. Besides that, traditional beliefs are very vivid among them. The most important features are ancestor-worship (the term is called inappropriate by some authors) and totemism. Nevertheless, there is a famous ritual to contact the dead ancestors. It is called Bira ceremony and often lasts all night. The Shona believe in heaven and have always believed in it. They don't talk about it because they don't know what is there so there is no point. When people die they either go to heaven or they don't. What is seen as ancestor worship is nothing of the sort. When a man died, God (Mwari) was petitioned to tell his people if he was now with Him. They would go into a valley surrounded by mountains on a day when the wind was still. To our grandfather Tichivara we ask that you pass on our message to our great-grandfather Madzingamhepo so he can pass it on to our great-great-grandfather Mhizhahuru who will in turn pass it to the creator of all, the bringer of rain, the master of all we see, he who sees to our days, the ancient one (these are just examples of the meanings of the names of God. To show respect to him the Shona listed about thirty or so of his names starting with the common and getting to the more complex and or ambiguous ones like...) Nyadenga- the heaven who dwells in heaven, Samatenga- the heavens who dwells in the heavens, our father... Then they would describe what they needed. His true name, Mwari, was too sacred to be spoken in everyday occasions and was reserved for high ceremonies and the direst of need as it showed Him disrespect to be free with it. As a result, God had many names, all of which would be recognised as His even by people who had never heard the name before. He was considered too holy to just go to straight up, hence the need for ancestral intercessors. With each new one the oldest was let go. When the missionaries came, they talked about Jesus being the universal intercessor, which made sense as there were conflicts in the society, with some people wanting their so-and-so, who they believed was with God, to be included in intercession. Doing away with ancestral intercessors made sense. However they made no effort to know how the Shona prayed and violently insisted they drop the other gods (i.e., the different names for God) and keep the high name Mwari. To the Shona this sounded like 'to get to God all you need to do is disrespect him in the most profound way', as leaving out his names in prayer was the highest form of disrespect. The missionaries would not drink water from the Shona, the first form of hospitality required in the tribe. They would not eat the same food as the Shona, another thing God encouraged. Added to that, Matopos hill and the land around it was considered the most fertile land in Mashonaland and was reserved for God. John Rhodes took that land as his and chased away the caretakers of the land. People could no longer go there to petition God. All of which led people to hold on to ancestral intercessors all the more. Jesus was seen as a universal intercessor but as his messengers lacked 'proper manners' it reinforced ancestral intercessors. The modern form devolved from the original as most ceremonies for God were outlawed, and families were displaced and separated. The only thing left was to hold on to their ancestors. Still if you ask the so-called ancestor "worshippers" about their religion they would tell you they are Christians. People of the same clan use a common set of totems. Totems are usually animals and body parts. Examples of animals totems include Shiri/Hungwe (Fish Eagle), Mhofu/Mhofu Yemukono/Musiyamwa (Eland), Mbizi/Tembo (Zebra), Shumba (Lion), Mbeva/Hwesa/Katerere (Mouse), Soko (Monkey), Nzou (Elephant), Ngwena (crocodile), and Dziva (Hippo). Examples of body part totems include Gumbo (leg), Moyo (heart), and Bepe (lung). These were further broken down into gender related names. For example, Zebra group would break into Madhuve for the females and Dhuve or Mazvimbakupa for the males. People of the same totem are the descendants of one common ancestor (the founder of that totem) and thus are not allowed to marry or have an intimate relationship. The totems cross regional groupings and therefore provide a wall for development of ethnicism among the Shona groups. The identification by totem has very important ramifications at traditional ceremonies such as the burial ceremony. A person with a different totem cannot initiate burial of the deceased. A person of the same totem, even when coming from a different tribe, can initiate burial of the deceased. For example, a Ndebele of the Mpofu totem can initiate burial of a Shona of the Mhofu totem and that is perfectly acceptable in Shona tradition. But a Shona of a different totem cannot perform the ritual functions required to initiate burial of the deceased. If a person initiates the burial of a person of a different totem, he runs the risk of paying a fine to the family of the deceased. Such fines traditionally were paid with cattle or goats but nowadays substantial amounts of money can be asked for. If they bury their dead family members, they would come back at some point to cleanse the stone of the burial. if someone bets his or her parents he would suffer after death of the parents due to their spirit. The Kingdom of Mutapa – sometimes referred to as the Mutapa Empire, Mwenemutapa, – was a Kalanga kingdom which was centered in the Zambezi valley in what are the modern states of northern Zimbabwe, north western Mozambique and south eastern Zambia. King Mwene Mutapa and his people are believed to be related to the Mwene kingdoms of Zambia, see Bemba and Mbunda, they moved to the Zambezi valley from the north. However written history is only known from their contact with the Kalanga and the Portuguese. 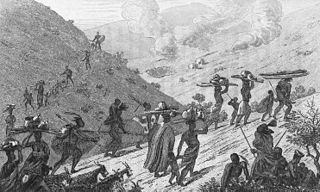 When Great Zimbabwe collapsed mostly probably due to succession battles and attacks from the Portuguese, some BakaLanga went west, led by Dlembeu and established Khami. Some went north. Here on the Zambezi valley they found the Zezuru of the Mwene Mutapa kingdom which was already weakened by Portuguese incursions and they overran it. Continued attacks by the Portuguese and Arab traders forced the Kalanga to abandon this state and move back south. They found their relatives at Khami and a fight broke out. Khami was burnt but they later found peace and ruled side by side at Nalatale and Danangombe. They were later conquered by the Ngunis. However, the exact location of the capital of this kingdom is not known even up to today. Manicaland is a province in eastern Zimbabwe. After Harare Province, it is the country's second-most populous province, with a population of 1.75 million, as of the 2012 census. After Harare and Bulawayo provinces, it is Zimbabwe's third-most densely populated province. Manicaland was one of five original provinces established in Southern Rhodesia in the early colonial period. The province is divided into ten administrative subdivisions of seven rural districts and three towns/councils, including the provincial capital, Mutare. The name Manicaland is derived from the province's largest ethnic group, the Manyika, a Shona subgroup who speak a distinct Shona dialect, Manyika. Masvingo is a province in southeastern Zimbabwe. It has a population of 1.485 million as of the 2012 census, ranking fifth out of Zimbabwe's ten provinces. Established as Victoria Province by the British South Africa Company, it was one of the five original provinces of Southern Rhodesia. In 1982, two years after Zimbabwean independence, it was renamed Masvingo Province. The Great Zimbabwe national monuments, a world heritage site are located in the northern part of the province near Masvingo City. The province is divided into seven districts, including Masvingo District, which contains the provincial capital Masvingo City. Manyika is a Shona language largely spoken by the Manyika people in the eastern part of Zimbabwe and across the border in Mozambique. It includes dialects ChiBocha, ChiUngwe, and ChiManyika, from which the broad Manyika language gets its name. Kalanga, or TjiKalanga, is a Bantu language spoken by the Kalanga people in Botswana and Zimbabwe. It has an extensive phoneme inventory, which includes palatalised, velarised, aspirated and breathy-voiced consonants, as well as whistled sibilants. The Manyika tribe are a Shona people with its own dialect, Manyika. The majority of Manyika comes from the eastern region of Zimbabwe. The dialect is widely spoken in Manicaland Province and in certain areas of Manica Province in neighbouring Mozambique. The Manyica dialect varies from region to region in Manicaland. Those from Nyanga, Nyamaropa, Nyatate and surrounding regions have a different tone and shaping of words compared to those from the Buhera and Bocha areas. There are inherent cultural norms in each of the sub-regions inhabited by the Manyika. The Ndau are an ethnic group which inhabits the Zambezi valley, in central Mozambique all the way to the coast, in central Malawi, and eastern Zimbabwe, south of Chipinge and Chimanimani. The Ndau people identify with a lion as their totem. The name "Ndau" itself means "lion" in the Ndau and Shona languages. The three largest Ndau groups are the Magova; the Mashanga; the Vatomboti, and the Madanda. Balobedu(BaLodzwi/Bathobolo) is a southern African tribe and an ethnic group of the Northern Sotho group. They were initially known as BaKwebo .The name "bolobedu" means place of tribute, go loba/lobela. Hence BaLobedu are people who receive tribute from others.They have their own kingdom, the Balobedu Kingdom, within the Limpopo Province of South Africa with a female ruler, the Rain Queen Modjadji. Gokomere is a place in Zimbabwe, sixteen kilometers from Masvingo known for its rock art dating from 300 to 650 AD. Many languages are spoken, or historically have been spoken, in Zimbabwe. Since the adoption of its 2013 Constitution, Zimbabwe has 16 official languages, namely Chewa, Chibarwe, English, Kalanga, Koisan, Nambya, Ndau, Ndebele, Shangani, Shona, sign language, Sotho, Tonga, Tswana, Venda, and Xhosa. The country's main languages are Shona, spoken by roughly 70% of the population, and Ndebele, spoken by roughly 20%. English is the country's lingua franca, used in government and business and as the main medium of instruction in schools. English is the first language of most white Zimbabweans, and is the second language of a majority of black Zimbabweans. Historically, a minority of white Zimbabweans spoke Afrikaans, Greek, Italian, Polish, and Portuguese, among other languages, while Gujarati and Hindi could be found amongst the country's Indian population. Deaf Zimbabweans commonly use one of several varieties of Zimbabwean Sign Language, with some using American Sign Language. Zimbabwean language data is based on estimates, as Zimbabwe has never conducted a census that enumerated people by language. The Kalanga, or BakaLanga, are a southern Bantu ethnic group mainly inhabiting Matabeleland in Zimbabwe, with smaller numbers in northeastern Botswana, Gaza Province in Mozambique, and Limpopo Province in South Africa. 1 2 Ehnologue: Languages of Zimbabwe Archived 2016-03-04 at the Wayback Machine , citing Chebanne, Andy and Nthapelelang, Moemedi. 2000. The socio-linguistic survey of the Eastern Khoe in the Boteti and Makgadikgadi Pans areas of Botswana. ↑ "Ethnologue: Languages of Mozambique". Archived from the original on 2015-02-21. Retrieved 2015-06-04. ↑ "Ethnologue: Languages of Botswana". Archived from the original on 2013-09-29. Retrieved 2015-05-28. ↑ "Ethnologue: Languages of Zambia". Archived from the original on 2016-03-05. Retrieved 2015-05-28. ↑ Doke, Clement M.,A Comparative Study in Shona Phonetics. 1931. University of Witwatersrand Press, Johannesburg. ↑ Correct spelling according to D. Dale, A basic English Shona Dictionary, mambo Press, Gwelo (Gweru) 1981; some sources write "whawha", misled by conventions of English words like "what". 1 2 3 4 5 David N. Beach: The Shona and Zimbabwe 900–1850. Heinemann, London 1980 und Mambo Press, Gwelo 1980, ISBN 0-435-94505-X. ↑ Michael Gelfand, The spiritual beliefs of the Shona, Mambo Press 1982, ISBN 0-86922-077-2, with a preface by Referent Father M. Hannan.